This white 1978 Cadillac Fleetwood S&S Victoria hearse is a running and driving classic commercial vehicle ready to be restored, customized or used the way it is. 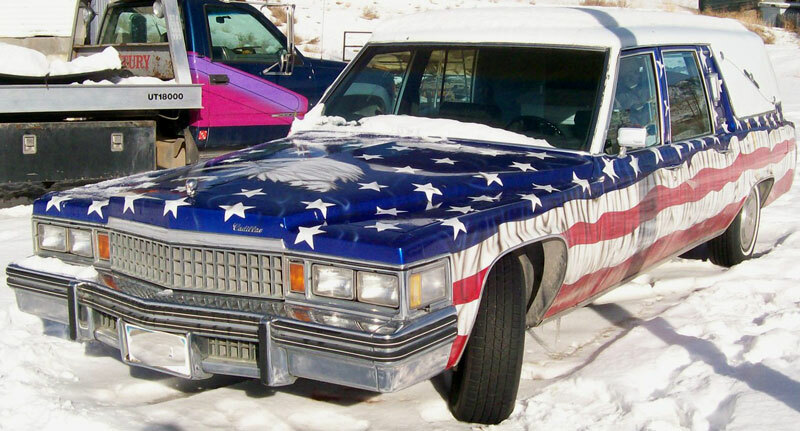 The car has a custom professionally-done vinyl and hand-painted red and blue US flag graphics. There is a black and white clawed eagle illustration on the hood. 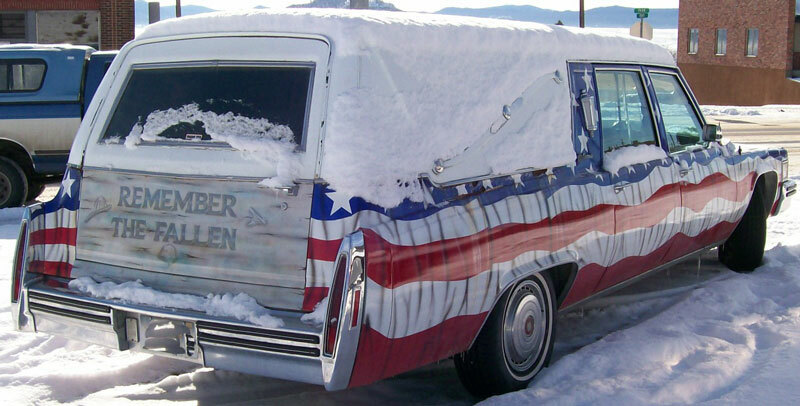 The rear door panel is painted like coffin wood and says "Remember The Fallen". The door is very straight and solid except there is some rust in the seams below the rear side top sections. All the glass is good. The tires are usable. We drove this hearse 100 miles over the Continental Divide when we bought it recently. The green hearse interior is complete. The front seats are worn. 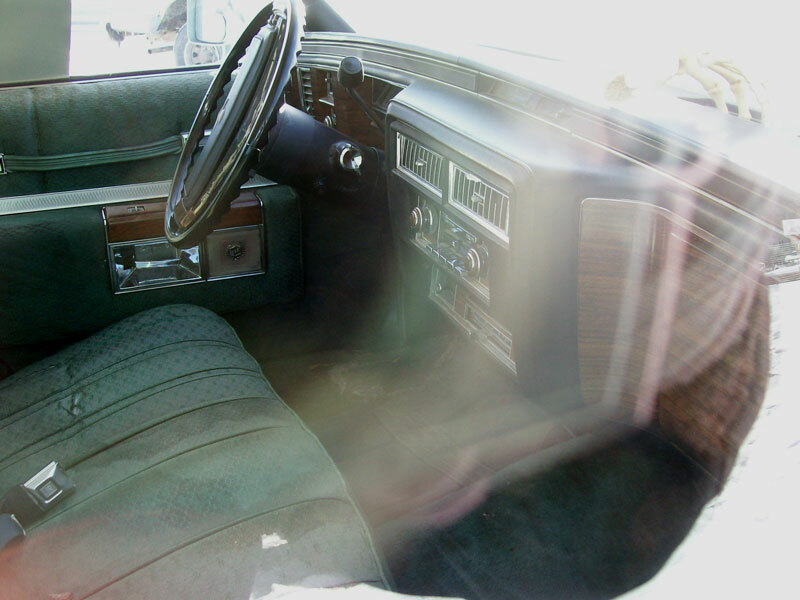 The wood grain dash and gauges are all there. The car is loaded with many options. The divider glass is cracked. 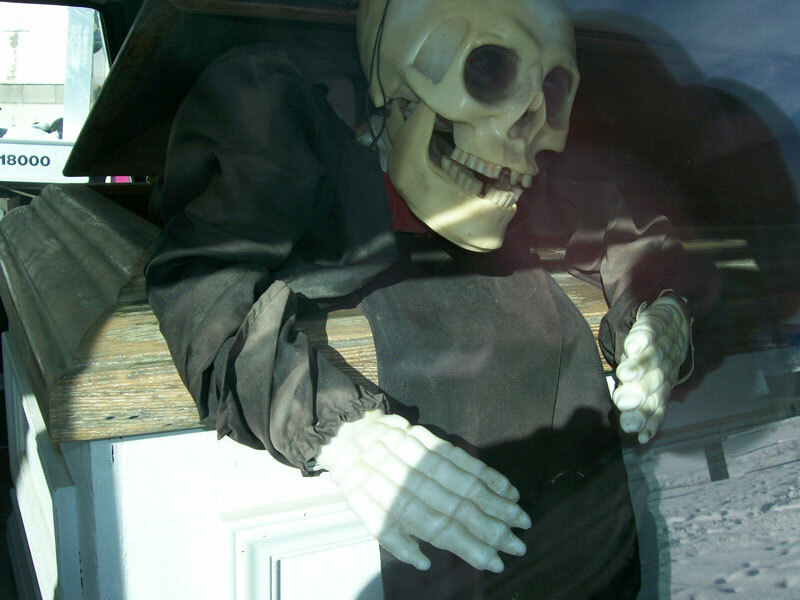 The rear has a wooden casket with a plastic skeleton popping out of the coffin lid. There is a granite headstone in the back that says "Royal Grey 1892-1937". The 425 CID 180 HP OHV V-8 and Turbo-Hydramatic transmission work normally. I do not have a photo of the engine compartment at this time but it is stock and all there under the hood. Here is your opportunity to own a very unique and unusual 78 Caddy S&S Victoria hearse. Please call (406) 318-0270 for details about this restorable classic 1978 Cadillac hearse project car. For sale $3,500.